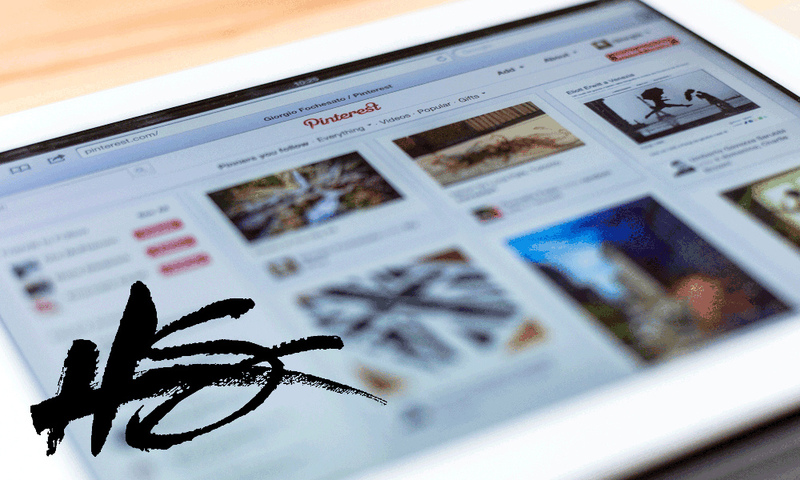 The basics – What is Pinterest? Men are too, but let’s face it. It’s women. 200 million people use Pinterest every month, 70% are women. What are women looking at on Pinterest? Recipes. Fashion. Workout routines. Tattoos. Summer activities for kids. Vacation destinations. Organization tips. Cleaning products. The best pillows for a good night sleep. Wood pallet life hacks. Margarita recipes. 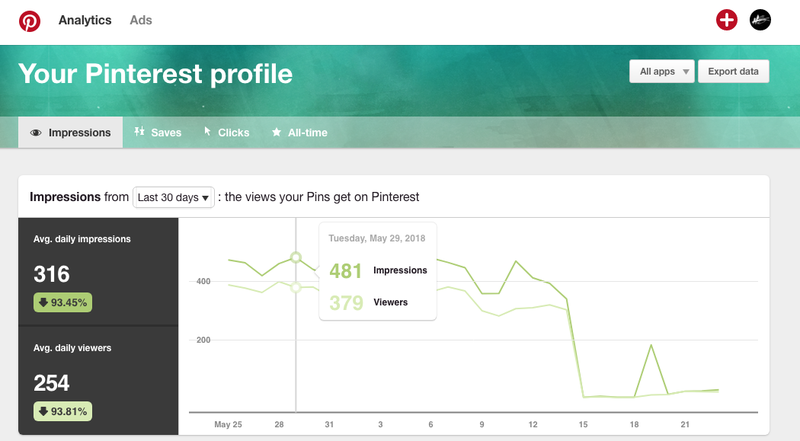 That is just my Pinterest search behavior from last week! My point is, people use Pinterest similarly to Google and YouTube. It is more of a “search engine” than it is social media platform. Users are able to follow people, brands, boards (topics) that are interesting to them, but users don’t necessarily follow friends, like they do on other social platforms. If your business is utilizing digital media already, I recommend adding Pinterest into that mix. Google Search is still, and will be for the foreseeable future, the primary digital platform to connect with in-market buyers. Be there first. But adding Pinterest to that mix is a good idea. 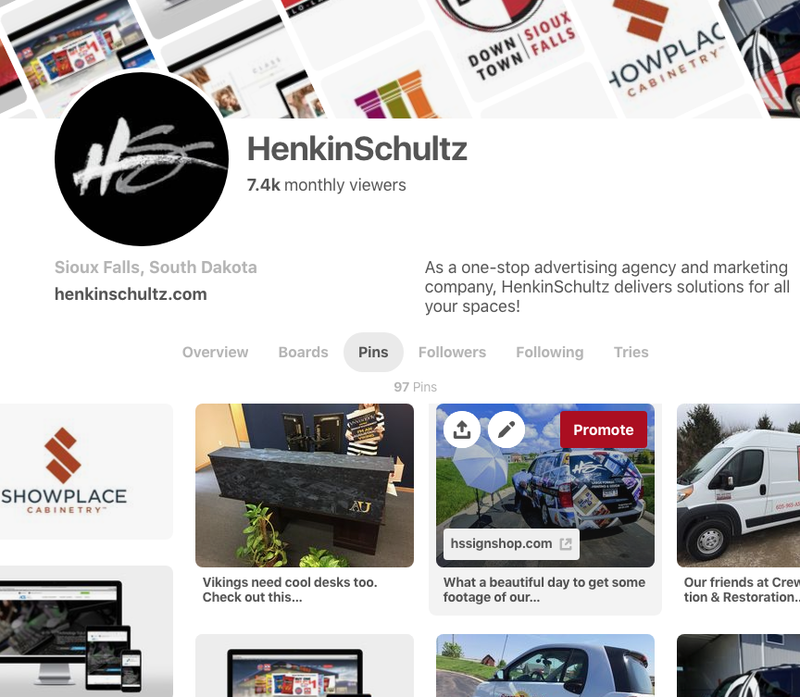 Pinterest is a great location to showcase your business because the people on Pinterest are looking for something… maybe that something is your product. To walk through this process I am going to use a real world shopping scenario: running shoes. Let’s say you sell shoes. And you want to sell more shoes to people who live in your area or shop on your ecommerce website. 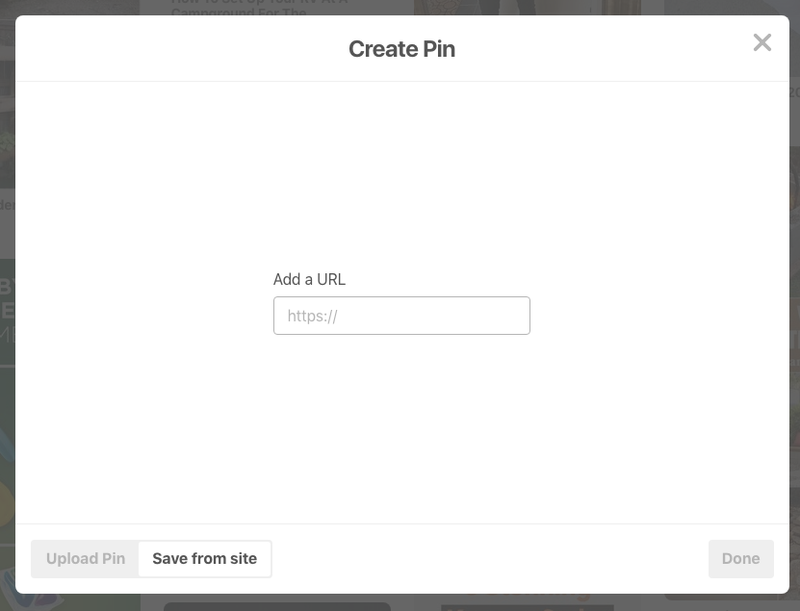 After you create a Pinterest Business page, you can “create new pin.” There are two ways to do this – upload an image or Pin from a URL. 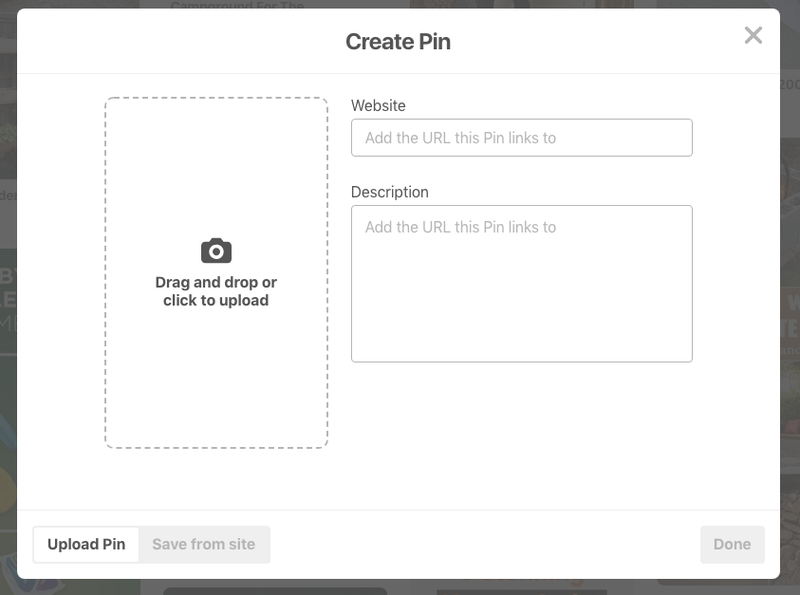 If when you create your pin, you choose to grab an image that already exists on your website, the alt-text from your image will pull the content for your pin. You can edit the text to make changes, but basically, the details of the pin are pulled from the content that does (or should) already exist on your website. Use hashtags and relevant keywords – Pinners will find your pins. Pinterest also provides an opportunity for business accounts to advertise their pins to further their reach. There are two ways to promote a pin. One, just select the red Promote button. 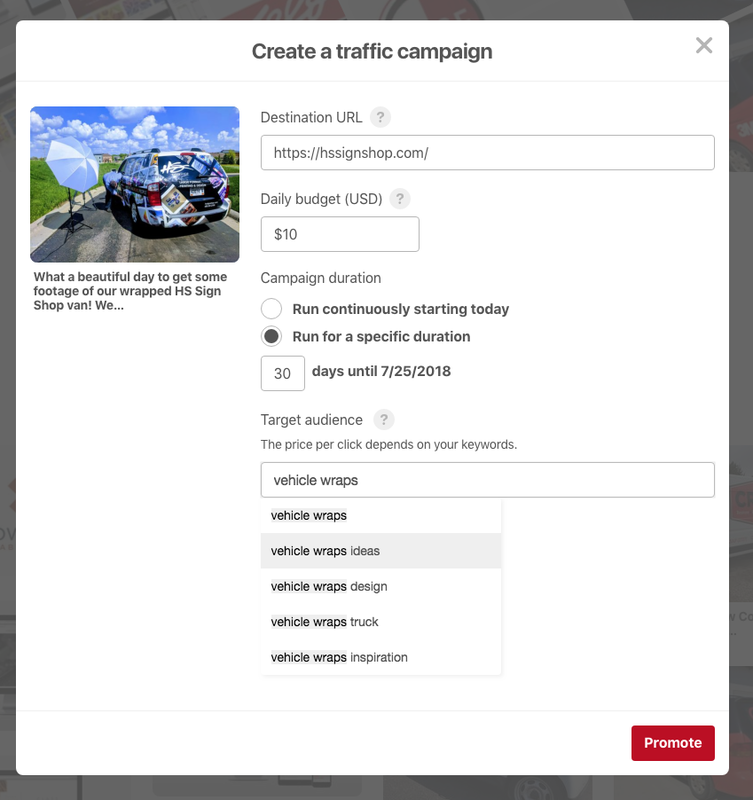 This is a quick promote option and allows you to set your budget, timeframe, and the keywords you want your pin to be populated for. Simple. Done. But, if you have a regional business, having your pin advertised to ANYONE on pinterest maybe isn’t the right method. 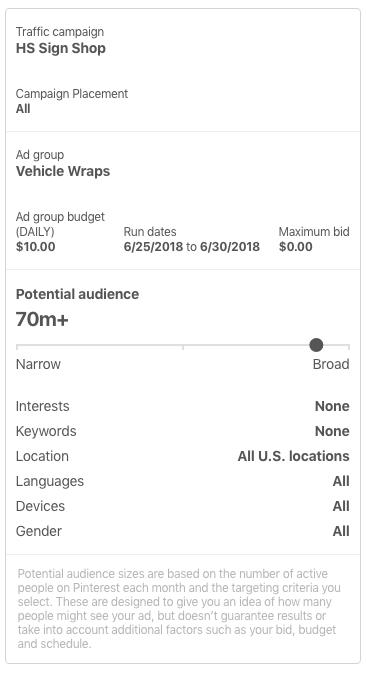 In the Pinterest Ads Dashboard you have a lot more targeting options. Similar to other social platforms, Pinterest gives you an audience size so you can help determine how many pinners match that targeting. View your stats and results. 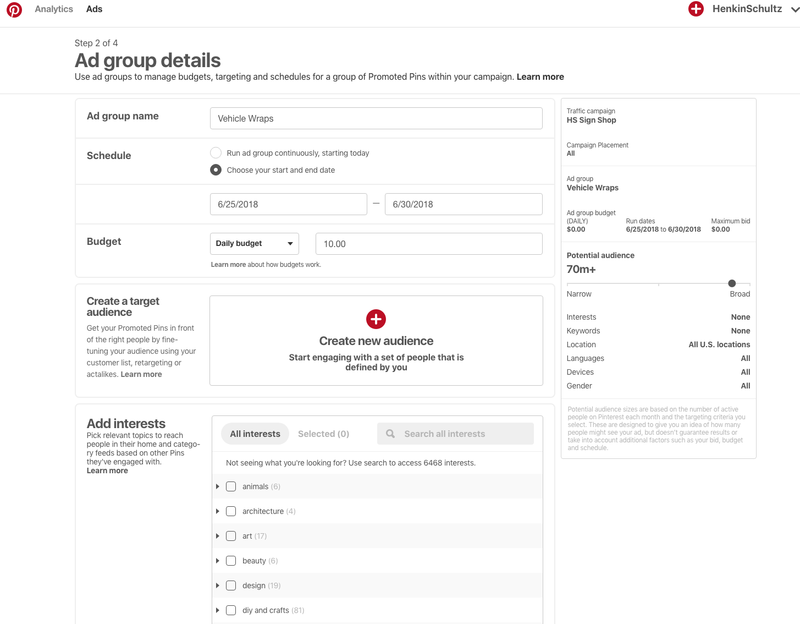 Pinterest gives you an ad dashboard you can use to monitor your ads and view your stats data. As a Business page, you can also access Analytics. Analytics data will show you more about who is viewing your pins and participating with your brand. 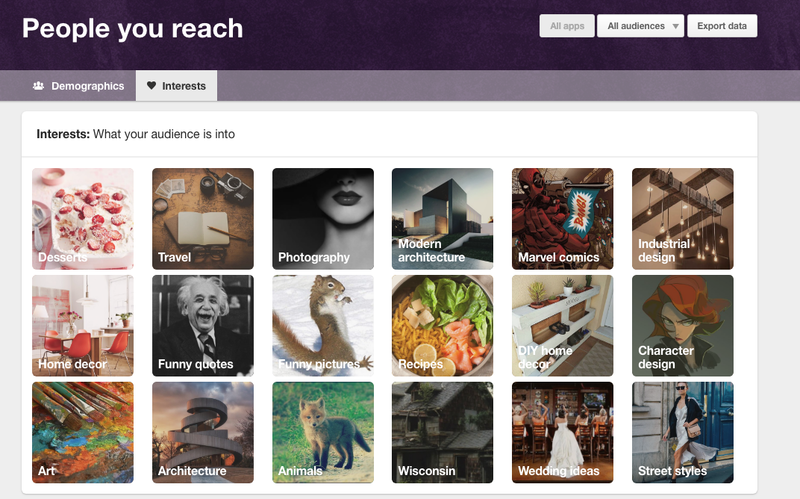 You will also be able to see what other interests your followers/audience has on Pinterest. You will also have impression and click data from your pins and brand as well. Pinterest is awesome. You should be there. We can help you do it. Shopping starts on Pinterest. Before a shopper knows exactly what they want to buy, they do some research and look for ideas. This research phase often happens on Pinterest. A poll of pinners recently conducted by Pinterest indicates that 72% of pinners were inspired to shop when they weren’t initially looking for anything particular, based on pins they saw. In the same pole, 90% of pinners say Pinterest helped them decide what to purchase. If Pinterest isn’t part of your current advertising plan, it probably should be. If you need help, we can do that. We can also swap a few margarita recipes, too. Emily Sorenson is the Digital Marketing Director at HenkinSchultz. She spends most of her time knee deep in analytics, data and stats. Her Pinterest boards mostly compose of recipes that may or may not even be made. Digital marketing is comprised of many different tools and tactics – Emily enjoys working with clients to develop digital strategies that work for their business and drive value. For more see Emily’s recent blog about the ABC’s of digital marketing.